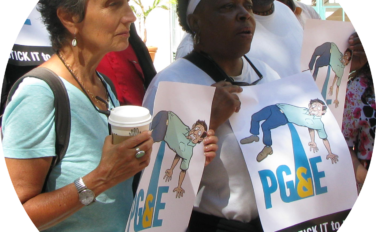 TURN wants to represent your interests in PG&E’s Bankruptcy Court, but we need to convince the judge to let us in. TURN has formally requested that PG&E’s bankruptcy court appoint an official committee of ratepayers so that the critical interests of 16,100,000 captive PG&E customers are represented. While creditors enjoy a leading role in bankruptcy court, consumers have been shut out in the past. If you agree that we should have a voice, and want YOUR interests represented when PG&E’s assets and debts are allocated, sign or petition to the Bankruptcy Court to LET CONSUMERS IN! Sign the petition TODAY: LET CONSUMERS IN!